Checking the cost: Do smart homes really save energy? Do smart homes save energy? Are all our cool, connected gadgets really going to rescue the planet, one iconic design at a time? It’s an often-touted benefit of ditching your old, plastic white gadgets in favour of shiny new black ones. But is it accurate? Yes and no. The sustainable living movement and the smart home have come of age together over the last few decades, enjoying a beneficial but sometimes uneasy partnership. Yes, smart home devices can save resources. No, not all of them will. Some, such as always-on smart speakers and connected cameras actually use more, because they’re not replacing an energy load, they’re adding one (although not a significant one). Others, including smart thermostats and AI-powered water and energy monitoring systems, are forging a path to a brighter, greener future – and saving us some cash along the way. The synergy between the smart home and the sustainable home is a beautiful thing. Technology brings conveniences, and by reducing our consumption of water and energy, sustainability brings savings. 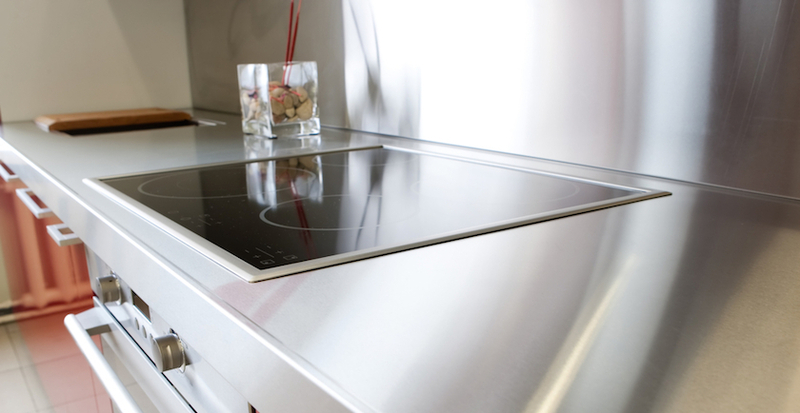 Put these two powerful features together, and you have the sustainable smart home. This is a home that saves its owner money and the planet precious resources—by automating many of the things we forget to do, don’t know how to do, or don’t realize we need to do. A Texas interior designer expands her vision outdoors with a water-wise garden. The first thing that strikes you about interior designer Lynn Rush’s home is that it’s black. The second is that its dark plaster walls are slowly being enveloped by swaths of brilliant green ivy. Surrounded by peach stucco mansions, this LEED Platinum residence on the outskirts of Dallas is wholly different, but without sticking out like the proverbial sore thumb. 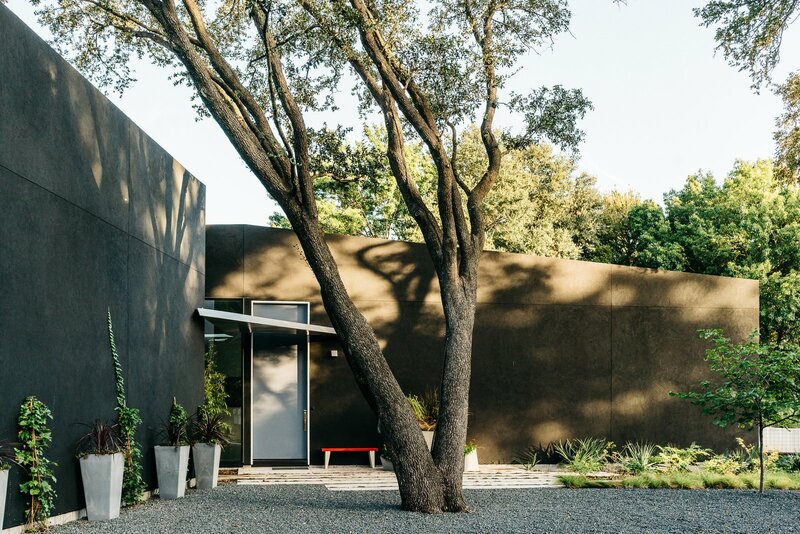 Instead, its low profile seems to dissolve into a backdrop of native plantings. Step-by-step guide to installing a smart fan and smart lighting in your bathroom. The air that we breathe is, quite literally, our life source. But it could also, quite possibly, be killing us. Air quality is becoming a modern crisis, with the World Health Organization (WHO) classifying air pollution as the world’s largest health risk, linking one in eight total global deaths to air pollution exposure, both indoor and out. According to the U.S. Environmental Protection Agency, the air inside our homes is commonly five times more polluted than that of the outdoors, and in some cases, up to 10 times. So, what can you do to protect your health, and that of your family, from this silent killer lurking in your home? Detect and correct. Find out what is causing air pollution in your home and then take whatever steps you can to help correct or mitigate those causes. Here we’ll look at how you can achieve this. Just a few years ago, living off the grid conjured up images of tiny cabins in the middle of nowhere. Today, the dream of average American homeowners powering their homes with alternative energies is coming true. Solar panels on your neighbor’s roof are no longer an oddity, and electric cars are less of a curiosity and more of an everyday sight. It’s not hard to imagine a time when wind turbines in the backyard will be commonplace and geothermal heating an expected utility in all new homes. There are a significant number of connected, Internet of Things-powered devices that incorporate some sort of indoor air quality (IAQ) monitoring that can help mitigate indoor air pollution. From standalone IAQ monitors and devices that do double duty as security systems to smart HVAC systems that filter the air when dangerous levels occur, consumers can now easily monitor the health of their homes and businesses. For more read the full post here. 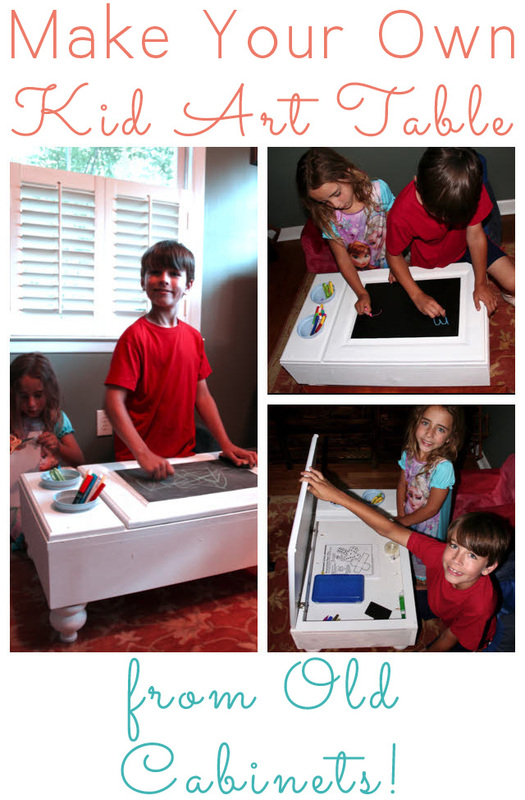 We recently remodeled our upstairs bathroom and decided to reuse an old cabinet we had in there as a DIY kid art table for our two children. This is quite a labor-intensive project and cost about $60 in supplies, but considering this style of art table runs upwards of $200 brand new, it seemed like time and money well spent—especially as we were able to feel good about putting parts of the old cabinet to good use. I've been writing for the earth-wise website Mother Earth News for three years now! You can read all of my posts for them on green living and sustainability right here. The dilemma of how to deal with three separate avenues for trash—recyclables, compost and everything else—has vexed me for nearly two years now, ever since we moved in to our new home, which had no built-in system. Then last month we found the perfect solution—one that wouldn’t cost us several hundred dollars. 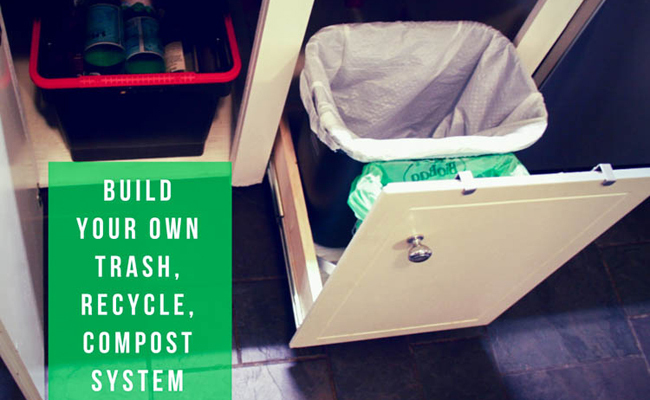 We built our own pull-out trash, compost and recycling system under our sink. I recently wrote about how smart home technology can help your home save energy. Chief among these energy-saving tips was installing a smart thermostat. A Wi-Fi-connected programmable thermostat can save you as much as 30 percent on your HVAC’s energy use. However, the potential to save money on your heating and cooling doesn’t end there. One of the biggest benefits of smart devices and the Internet of Things is the potential for integration. When these devices work together, you can create a smart home that actively and intelligently works to help you save energy. For anyone building or remodeling a home, energy efficiency is a key factor. From insulation to location, how you build a home can have a direct impact on how much energy it uses. 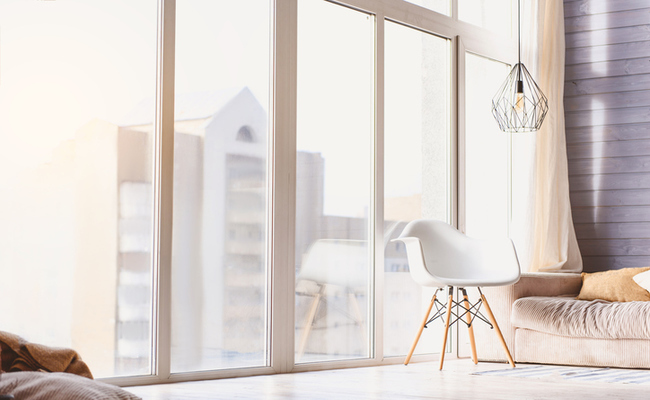 While a Passive House, one that can remain comfortable through all seasons without employing an active heating or cooling system, may be a lofty goal for many people, there is something relatively simple you can add to your home to help passively control its temperature: smart shades. Smart, motorized shades can help control the solar gain and heat loss your home experiences naturally throughout the day simply by opening and closing at pre-programmed times. With the addition of smart home technology, the blinds can actually learn when they need to open and close based on temperature and sun light, maximizing the energy efficiency of your HVAC system. Is there anything more heartbreaking than watching a squirrel run off with one of your green cherry tomatoes, take a bite out of it, then throw it to the ground before going back to get another one? That was the scene in our backyard last summer. 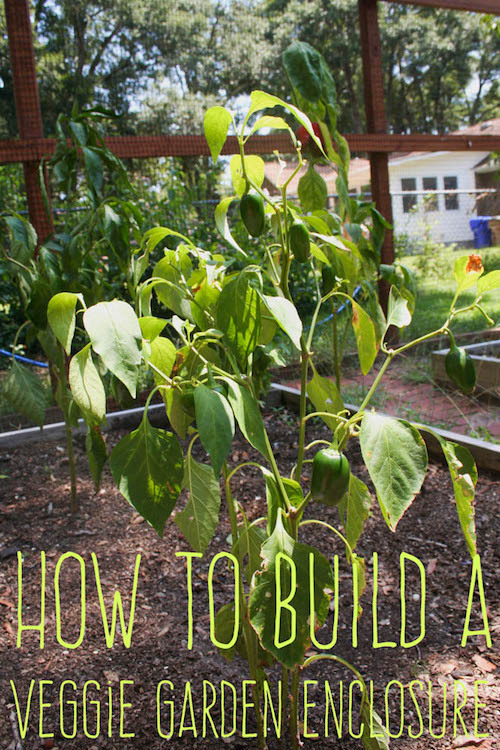 We’d labored as a family to build a wonderful raised vegetable garden. We lovingly planted half a dozen tomato plants and carefully cared for a handful of cucumber, melon, squash and pepper plants, eagerly anticipating a summer filled with fresh, homegrown fruit and veggies on the dinner table. The Internet of Things is a boon for businesses striving to be more sustainable, but at-home IOT is exhibiting worrying signs of stalling. Industry analyst Jan Dawson summed up many people’s concerns when he said the smart home market seems perennially stuck in the early-adopter phase. The two biggest bills your kitchen generates are your grocery bill and your electricity bill. Your appliances are responsible for 13% of your energy bill, and the fridge takes the lion’s share of that, as it’s always on. By organizing your fridge correctly, you can help it work more efficiently, which reduces electricity costs. Additionally, it will help keep your food fresher for longer, reducing your grocery costs by cutting down on spoiled and wasted food. Here are seven tips for proper food organization to save you money, plus a look at organization features of new fridges for those in the market for a new one. The American consumer is leading the march toward energy efficiency in this country. 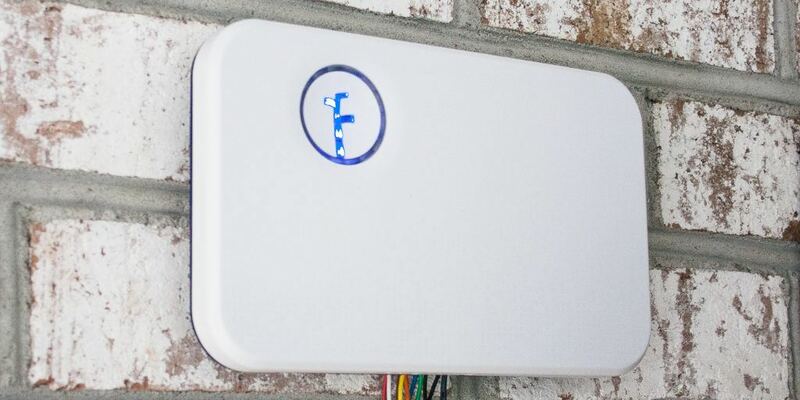 They’re embracing government-sponsored programs such as Energy Star and technological advances like the Internet of Things (IoT) and solar panels to reduce their annual energy usage and put money back into their pockets. Remodeling a kitchen is on many homeowners’ to-do lists, and putting in new countertops is often the biggest part of that remodel. For most of this century, granite has been the go-to material when redoing countertops, and while it is still a great option, the growing interest in sustainability and green living has meant many people are looking at alternative materials. This has prompted a surge in options with stronger eco-credentials, such as wood, metal and recycled countertops. Deciding whether a material is environmentally friendly or “green” is not as easy as just looking at a label or finding out if the manufacturer is certified by one eco-working group or another.